Fixer uppers are similar to the ugly duckling but require more work. 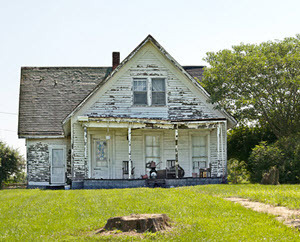 While the ugly duckling is a property in good shape but that looks bad, the fixer upper is in worse shape and require structural work, not just a quick face lift. The fixer upper is usually a good buy. You will however have to invest more time and more money in it than you would in an ugly duckling property. You will therefore need to get it at a better price to be able to make a nice profit. When you are looking at a fixer upper you will need to do a detailed inspection of the house and make a note of everything that need to be fixed. You will then need to calculate how much those repairs will cost and how long they will take. This will tell you how much you can pay for the property and how much you can make when you sell the property. You should make sure you have at least a 10 -20% profit margin before you decide to purchase a house. Fixer uppers are most suitable for investors that has a team that can work on them. They are less suitable for investors that like to do all the work themselves. This is due to the fact that it can take a long time to finish the property eating into the possible profits. Each day that you hold a property it cost you money in Mortgages, electricity, waste management and so on. You want to get the property ready to be rented or sold as quickly as possibly. Fixer uppers can be a lot of work but can also earn you a lot of money. They make good flips but sometimes require a large investment to realize the hidden potential. Make sure that you have enough money to finish the project before you purchase a fixer upper. It doesn’t matter how much potential a property has if you cant afford to finish it. Only invest in properties you know you can finish in a timely fashion. Fixer uppers are also good investments for investors that are looking for income properties. They are a god way to add new properties to your portfolio at a good price. They will require a lot of work before they can be rented. Investors who wants to avoid large renovations should avoid fixer uppers and instead buy more finished properties.